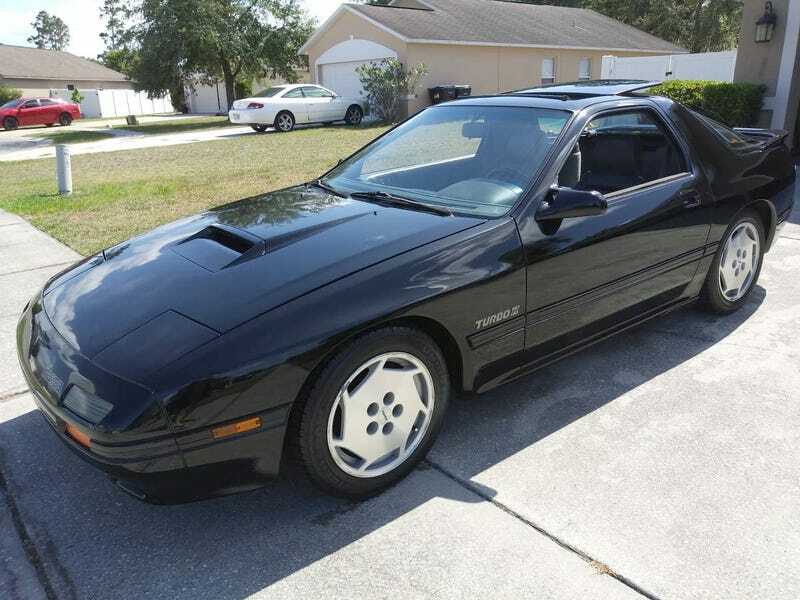 At $10,399, Is This 1988 Mazda RX7 Turbo II a Fitting Sequel to a Car That Never Was? Sequels are often not as good as the original, but today’s Nice Price or Crack Pipe RX7 Turbo II might prove to be a car that’s an exception. Let’s see if its price makes it just the ticket. I’m pretty sure that everyone is aware that Steve McQueen based his character in the movie Bullitt on real San Francisco Inspector Dave Toschi, right down to the wearing of a shoulder holster for his sidearm. Amazingly, Clint Eastwood’s iconic Dirty Harry character is claimed to also by a riff on the eminently screen-worthy San Francisco cop. Toschi himself would be portrayed on film by Mark Ruffalo in David Fincher’s atmospheric 2007 film, Zodiac. That’s three whole Toschis going all the way back to 1968’s Bullitt. Yesterday we had yet another Bullitt, a homage to the film’s Mustang and one also of three editions, that being generations of the model to fete the film car. That 2008 Ford Mustang Bullitt didn’t fare that well however, coming up short—or perhaps long—price wise. For many, its’ $11,980 asking was felt too high for a squeaky old ‘Stang, even with the film tie-in, and it ended up with a 65-percent Crack Pipe loss. Case closed! You know, follow ups fall into two categories—they’re either redemptive second chances on a failed first attempt, or are a pale and disappointing attempt to latch onto some former glory. When it comes to cars, having a II attached to a name is almost never, ever a good sign. Consider if you will the Mustang II, and the movie Cars II, neither of which it could be argued to be as good as the first. In opposition to that assertion however, today we have a car with a II in its name that really was better in most ways than its progenitor. The best part about this 1988 Mazda RX7 Turbo II is that here in the U.S., we never even got the Turbo I. So, I just made the bold and controversial allegation that the FC RX7 is a better car than the FB that came before. Yes, I know that the second generation of Mazda’s rotary sports car is about 800 pounds heavier than its pointier predecessor, and that it hews more closely to GT positioning in both size and feel. Still, the FC came with a lot more power than the first generation car, making up a good deal of that weight disadvantage. It featured rack and pinion steering that offered more feel than the FB’s recirculating ball edition too. Last nail in the coffin—it also came with independent rear suspension instead of a live axle that could be hoppier than a summer beer. And then there’s the Turbo II. An FB (Savanna) Turbo was offered in Japan for the 1984 model year, but with the FC arriving in just a year’s time, it made no sense to federalize the car for the U.S. market. Instead we got the bigger, better, bolder Turbo II. This one, in Brilliant Black over charcoal leather looks to be one of the nicest ones out there. It rocks a mere 94K on the clock and doesn’t seem to have been muddled with in the least. The car runs its factory 16 inch alloys down south, and a moonroof up north. The large scoop in the center of the hood is functional, feeding an air to air intercooler just below. That in turn pumps up the jams for the 1.3 litre 13B two-rotor Wankel, giving the engine a solid 182 horsepower and 183 ft lb of torque. Both of those numbers are accessible in the upper floors of the rev band. Here the turbo mill is backed up by Mazda’s five-speed manual. The seller claims that the car ‘[R]uns and drives perfect with cold a/c.’ He further notes that the title is clean and that it’s rare to find one ‘as it left the factory.’ That’s pretty much all we get for description, but the pictures do paint a pretty nice story. The interior presents well, with seemingly unblemished leather on the sport thrones and a dash that seems intact. These interiors can turn brittle with age so those are both positive attributes. Under the hood things look equally clean with no evidence of monkey business aside from some failing insulation up top. The rear glass shows some separation of the trim just above the embossed Mazda logo on the spoiler, but other than that it all looks perfectly serviceable. The wheels do show what seems to be a good bit of curb rash and nobody likes seeing wheel weights on the outside of alloys. That just looks mickey mouse. Overall this is one nice FC, and with the turbo mill it should be equally entertaining to drive. The question is, could it be worth $10,399? That’s a lot of cash for an old FD, but then this appears to be a lot of car, and one that needs nothing other than the twist of the key to enjoy. Could that wrest that $10,399 asking out of one’s pocket? Or, for that much, is this Turbo II a sequel that no one asked for? Orlando, FL Craigslist, or go here if the ad disappears. H/T to my buddy, Bryce Womeldurf for the hookup! At $11,980, Is This 2008 Ford Mustang Bullitt a Classic for a New Generation?